Delias 40% Off PLUS Buy One Get One Jeans And Graphic Tees! You are here: Home / Great Deals / Delias 40% Off PLUS Buy One Get One Jeans And Graphic Tees! Delias is having a great sale right now! 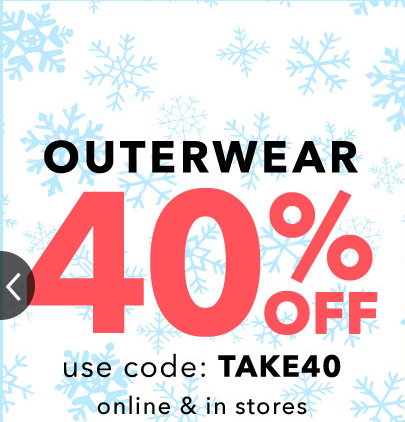 You can get 40% off outwear and clearance! Prices start at just $2.99 on clearance! Just use code: TAKE40 at checkout to get yours! 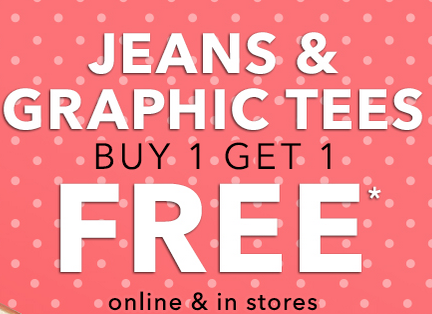 Plus you can get Buy One Get One FREE on jeans and graphic tees! Offer good in-store and online!